In November 2000, John Schiffman donated $1.5 million to Columbia College to start the Althea W. and John A. Schiffman Endowed Chair in Ethics, Religious Studies and Philosophy. This funded a series of lectures given every year on the topic of ethics in society. Many famous people have visited Columbia over the past 11 years and given presentations about a specific subject of their desire, including JFK’s son Robert Kennedy in 2005, former president of Ireland Mary Robinson last year and Arun Gandhi, the grandson of Mahatma Gandhi, in 2013, among many others. 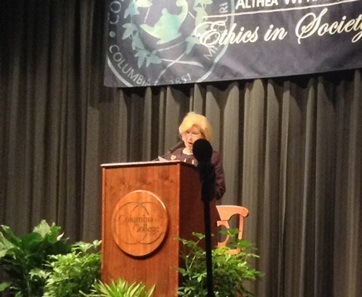 On March 12 this year, Nina Totenberg gave a lecture in this ongoing series titled “The Supreme Court and Its impact on You.” Totenberg is a National Public Radio reporter on legal affairs, and has reported stories about the Supreme Court for almost 40 years. In her lecture, she mostly talked about the Supreme Court justices and their major decisions that impact Americans today, like the case on the Affordable Care Act and the many cases on corporations and their right to donate to political campaigns. 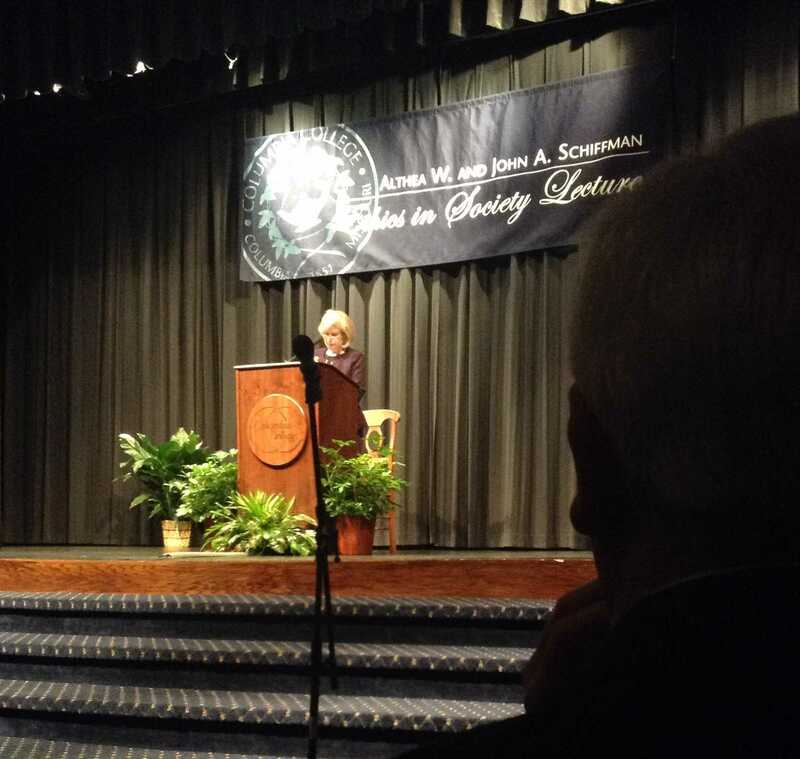 Totenberg began her talk by telling stories of the Supreme Court justices in an an effort to convince the crowd that they are people. Since Totenberg, for the past 40 years, has attended the Supreme Court cases, from small to large, she has an extensive knowledge of the Court and about the justices themselves. In order to paint them as ordinary people, she gave many stories about the notes they would write in during the court and about their personal lives outside of the court. Six weeks ago, Totenberg came out of a knee transplant and because of this had to sit down half way through the talk. During the question and answer session, she was asked by an audience member about the accessibility of the Supreme Court. Totenberg would hate if the Supreme Court video taped the arguments. She said it would take away the serious attitude that the court works in now; it would also add another burden on nominations for the Supreme Court because the President would need to chose someone who would work well on TV.